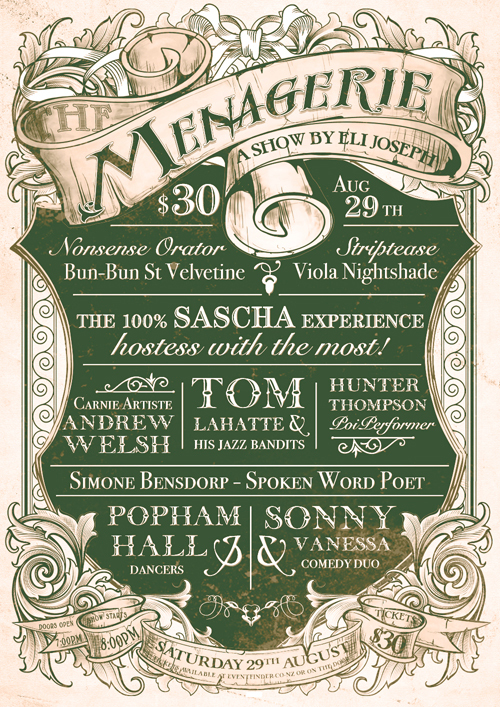 The Menagerie has been regularly entertaining and surprising audiences since 2013. It’s been called a “laugh inducing, tear jerking, thought provoking and body rolling carnival style goodness.” by TheatreView. This month producer Rachel Rouge is handing over the reins (but not the reign) to Vaudeville Inc producer Eli Joseph. For just one show on August 29th Eli has curated a stunning line up of fresh and unique talent. The show will uphold the diversity of live performance The Menagerie has become known for. This show will feature comedy, poetry, plate spinning, singing, live music, contemporary dance, poi, and more. Variety shows are always a collaborative process, performers work together with each other and the producer to bring new and interesting ideas to life. When two established producers collaborate together magic can happen.